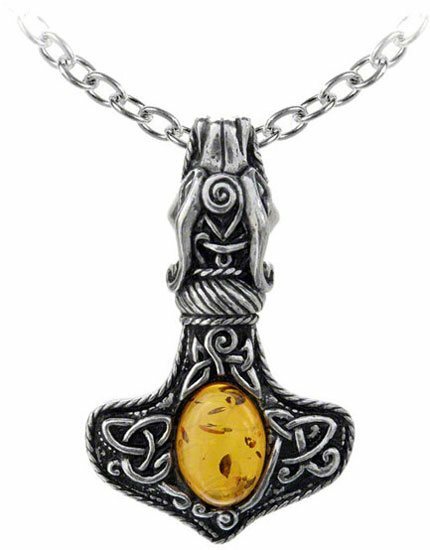 The God of thunder's hammer with amber gemstone in the center and dragon sides. 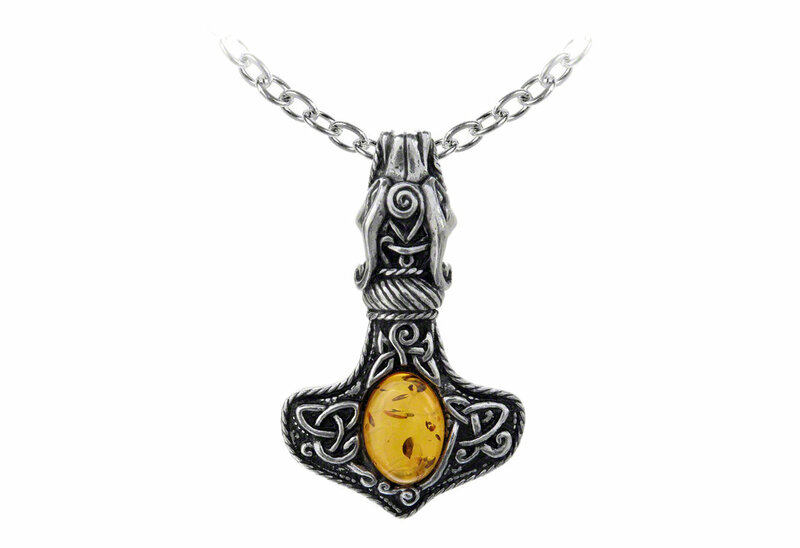 Measures approximately 1.18 inches wide, 1.89 inches high and 0.43 inches deep. Chain measures 21 inches in length. Made of fine English pewter.